The navy and green scarf is completed, off the loom and finished. I love the crispness of the scarf, but it is definitely scratchy and straw-like. It will work as a scarf if it is tucked under a jacket lapel, but not something you would want next to your skin. 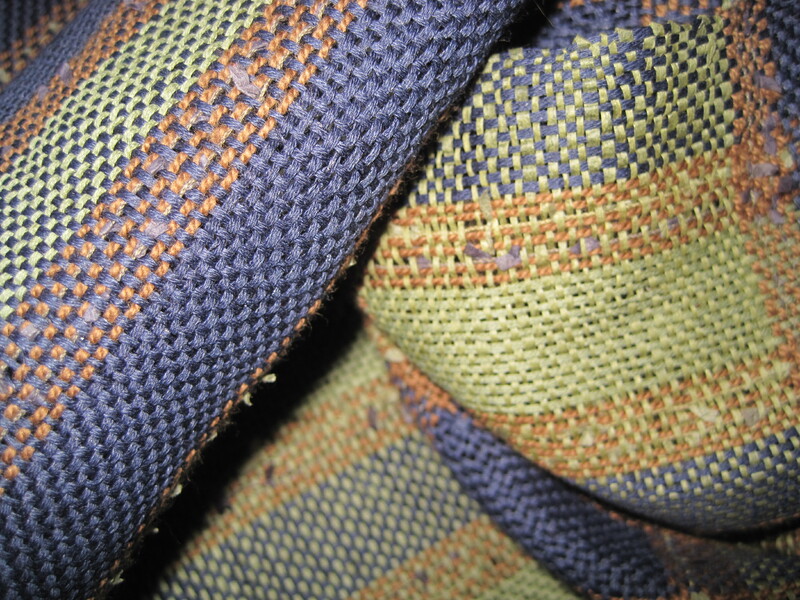 The yarn floats are not noticeable, and plain weave won out overall in the weaving. 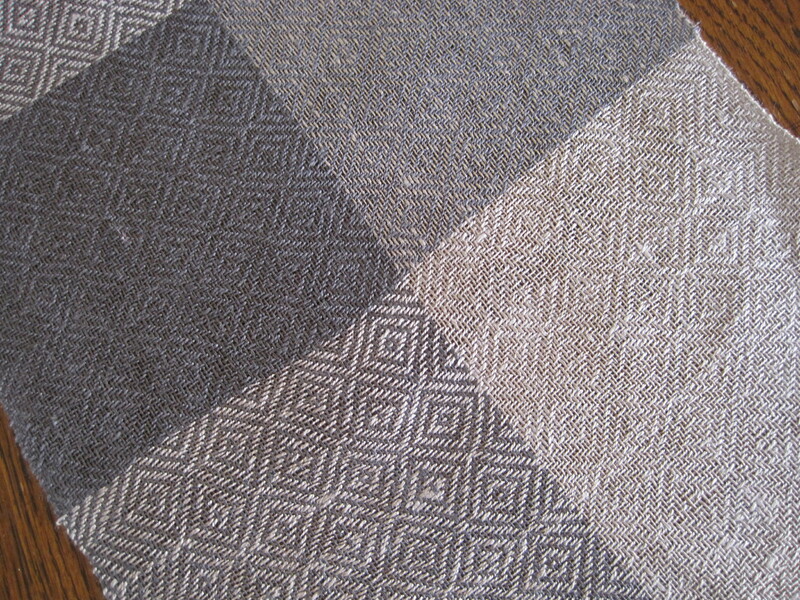 I like the texture of the paper/cotton yarn and I love the way the yarn scarf scrunches like linen. I do hope that it will soften up over time. Another scarf off the loom really is linen. 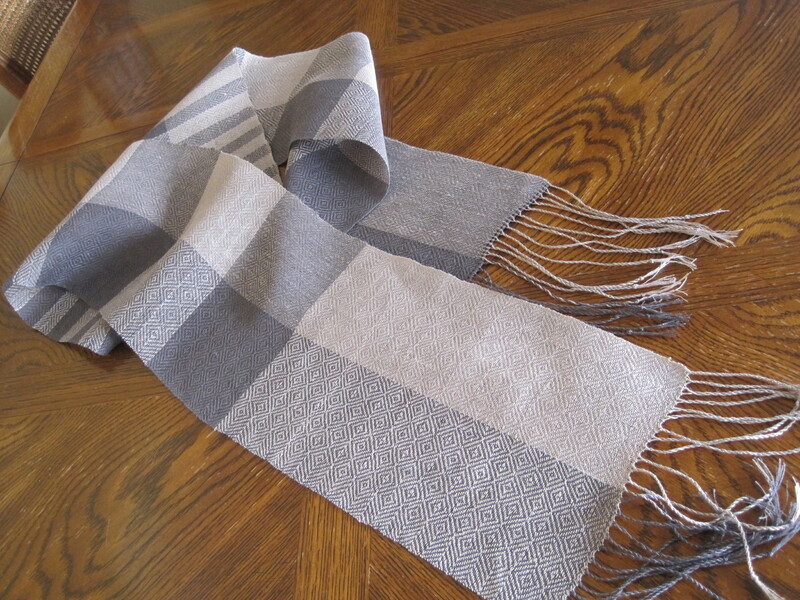 It is woven from a fine 40/2 linen, from Silk City Linen, in a subtle bird’s eye twill threading. I really like the transparent quality of the weaving, and again, hope that it will soften up with repeated washing and wearing. It feels very elegant. 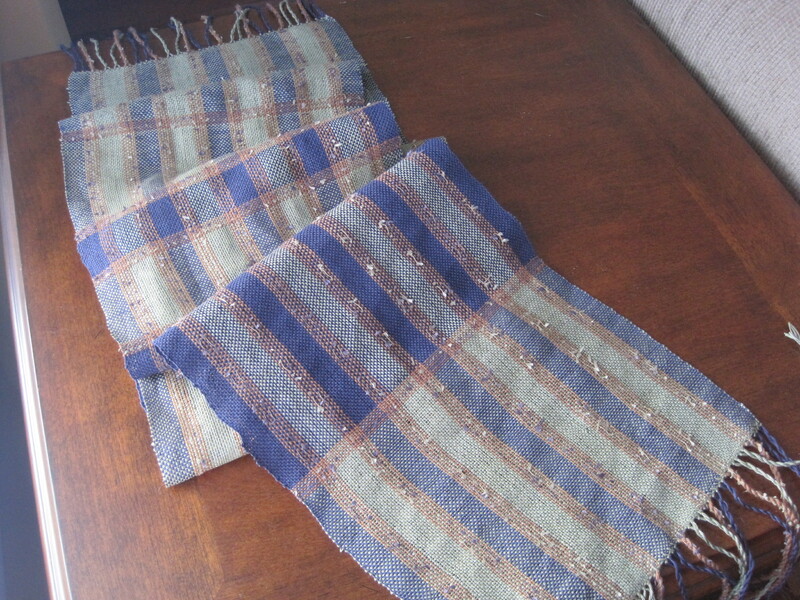 This entry was posted in Weaving and tagged Handweaving, handwoven, linen, Loom, paper yarn. Bookmark the permalink.